Since we launched SEA live MUSIC earlier this year, we’ve been fortunate that a few of our favorite bands have played local venues several times. If there’s anything we love more than introducing you to a new band, it’s recommending them over and over until they become one of your favorites too. 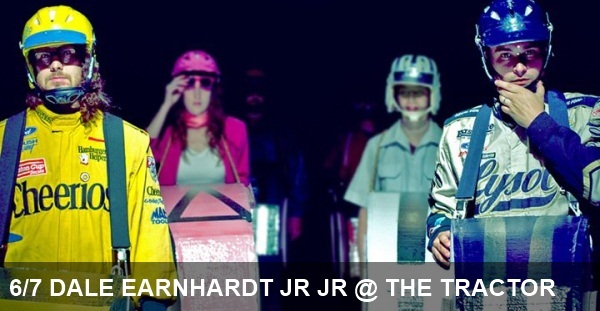 Dale Earnhardt Jr. Jr., a band we’ve written about before, is back in town and celebrating the release of their new album, It’s Corporate World, tonight at the Tractor Tavern. The Detroit duo played a cheerful blend of indie electro pop. Their songs are groovy and retro with a notably modern feel.